Disney World is known as “The Most Magical Place On Earth” and I believe this to be true. Disney World is a great family trip destination with even the smallest of Disney fans. 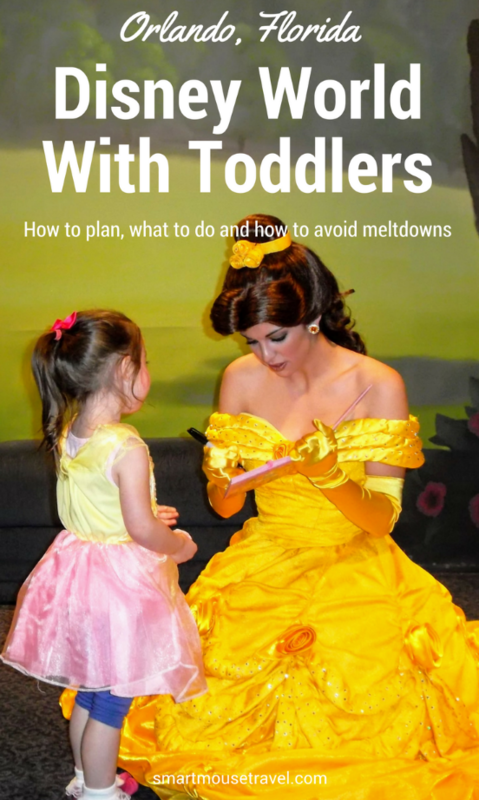 In fact, I think toddlers can especially enjoy the Disney magic. However, Disney World with toddlers does require you to know some special tips and tricks to keep the magic alive. 1. Magic Kingdom is the best park for toddlers. When people think of Disney World they usually picture Magic Kingdom. Cinderella’s Castle at the end of Main Street is iconic. Magic Kingdom has the most ride options for smaller kids with only 6 attractions having a height requirement. That leaves 24 rides for toddlers at Magic Kingdom! You can also meet Mickey, Minnie, Donald, Daisy, Goofy, Tinker Bell and several princesses, too! You can easily spend two really full days at Magic Kingdom with a toddler. Although there is no height requirement for Pirates of the Caribbean or Haunted Mansion some younger kids might find them too scary. For example, the first time we tried to do the Haunted Mansion Elizabeth only made it halfway through the outdoor queue. The next trip we made it through the stretching chamber (a dark, small room with a spooky voice). The stretching chamber freaked her out so we had to ask a cast member to exit. That day I learned there is a “chicken door” for just this. On the other hand, my two-year old niece loved the Haunted Mansion and never had a problem. 2. There are fun things to do with toddlers at the other Disney World Parks, too. 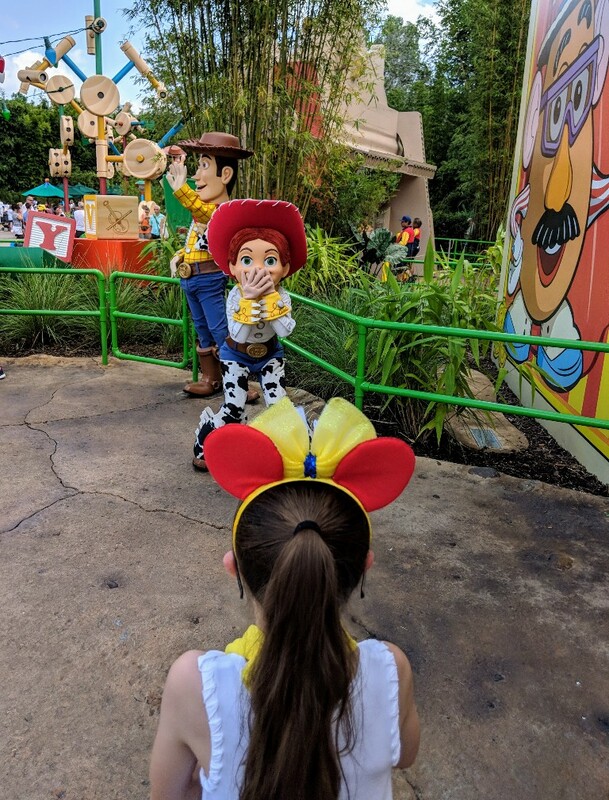 Walking around the newly opened Toy Story Land can be a lot of fun even if kids aren’t tall enough to ride the two new attractions. There are bright colors, fun details, and characters found throughout Toy Story Land. Find out more about Toy Story Land including ride height requirements in my full article. There are limited attractions without height restrictions for toddlers at Hollywood Studios. 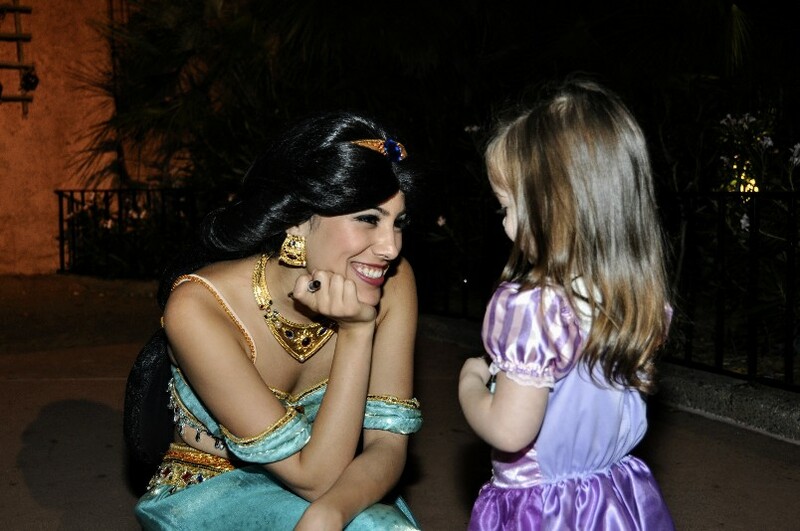 However, there are several character meet and live show options to entertain your toddler. Beauty and the Beast Live On Stage – a Broadway-style production retelling this classic tale. Disney Junior Dance Party – This new live show features Mickey, Timon, Vampirina, and Doc McStuffins with fun music and dancing. A DJ runs the show and the audience helps bring the characters from the screen to the stage. Fantasmic! – this nighttime production uses pyrotechnics, fireworks and laser lights to tell the story of Mickey’s dream being overtaken by villains and turned into a nightmare. Don’t worry – Mickey conquers the nightmare and the show ends happily. For the First Time in Forever: A Frozen Sing-Along Celebration This retelling of the Frozen story is done with comedy for everyone. I dare you to resist singing along! Indiana Jones™ Epic Stunt Spectacular! Your kids don’t need to know a thing about the movies to appreciate the fight scenes, explosions and other stunts that take place in this live show. Voyage of The Little Mermaid – key songs and parts of the story are revisited in this live show. You can also meet several characters at Hollywood Studios. Some of our favorites are BB-8, Chewbacca, and Kylo Ren from Star Wars, Olaf from Frozen, Buzz, Jessie, and Woody from Toy Story, Sofia, Vampirina, and Doc McStuffins from Disney Junior or Mickey and Minnie. Please check the My Disney Experience app or times guide to see who is available on the day you visit. Hollywood Studios is currently undergoing an extensive expansion for Star Wars: Galaxy’s Edge (opening in 2019). Although a lot of people say Epcot is too boring for young kids I disagree. Elizabeth has loved this park since her very first trip. There are several rides without a height requirement and the World Showcase has some great character meet-ups and food options. You can meet Mickey, Minnie, Goofy, Baymax from Big Hero 6, and Joy and Sadness from Inside Out in Future World. There are also opportunities to find princesses (expect a longer wait for Elsa and Anna) and other characters like Mary Poppins in the World Showcase. Make sure to check the My Disney Experience app or the times guide to find out what characters are available. If you have a toddler that is obsessed with animals then spending time at Animal Kingdom may be perfect for you. Festival of the Lion King – live Broadway style show with acrobatic monkeys, stilt walkers, and floats revisiting songs of The Lion King. Finding Nemo The Musical – a live retelling of Finding Nemo as a Broadway-style production. Rivers of Light – nighttime light and laser production. Characters such as Mickey, Minnie, Goofy, Pluto, Donald, Pocahontas, Baloo and King Louie from Jungle Book, Doc McStuffins from Disney Junior, Flik from A Bug’s Life, Rafiki from The Lion King, and Russell from Up. 3. Set aside time for rest. Touring Disney World can be tiring for adults and kids. Make sure that you build in some quiet time for kids to rest or even return to the hotel for an afternoon nap. 4. Bring or rent a stroller. Disney World parks (and even the resorts) are large, sprawling places. You will rack up several miles of walking each day. We average 6 – 8 miles of walking each park day. It is not unusual for kids as old as 8 years old to need a stroller to keep pace with the adults during a trip. Here is the stroller I took again and again (and my sister used on multiple trips). 5. Kids under 3 years old don’t pay for park tickets. This is a considerable savings. For reference, as of April 2019 a 4-day park hopper ticket for a 3-9 year old runs over $500. 6. 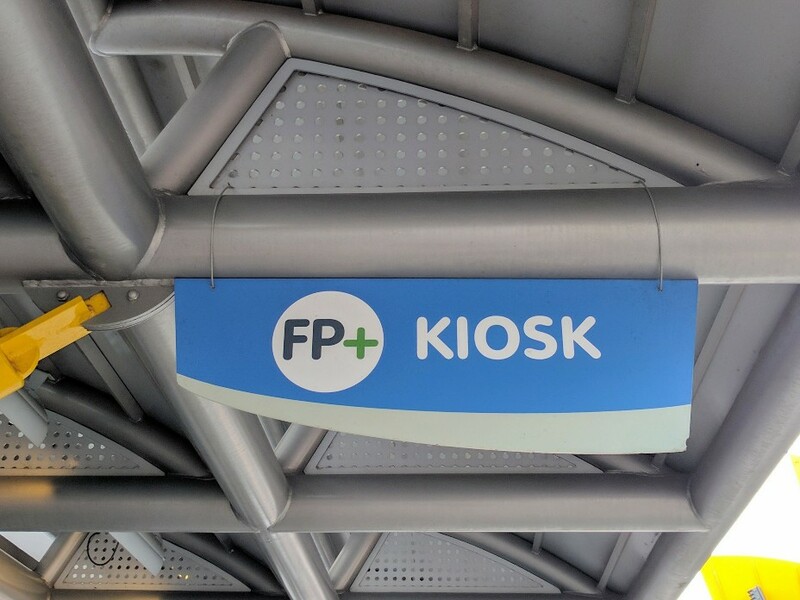 Utilize the FastPass+ system to reduce waiting in lines. FastPass+ is included in the price of your park ticket. It allows you to skip the line for up to 3 attractions in one park each day. Find out more in my detailed guide. 7. You don’t need to make FastPass+ reservations for kids under 3 years old. Since kids under age 3 do not need a ticket for Disney World Parks you do not need to make FastPass+ reservations for them. They are free to ride any attraction you have a FastPass+ for if they meet the height requirement. 8. Everyone gets a MagicBand. If you are staying at an on-site Disney World resort you have the option to receive a MagicBand. MagicBands act as your on-site resort room key, park ticket, FastPass+ access and allow charging to your credit card on file. Even though your toddler doesn’t need a ticket or any of these other options they are provided a MagicBand so they don’t feel left out. 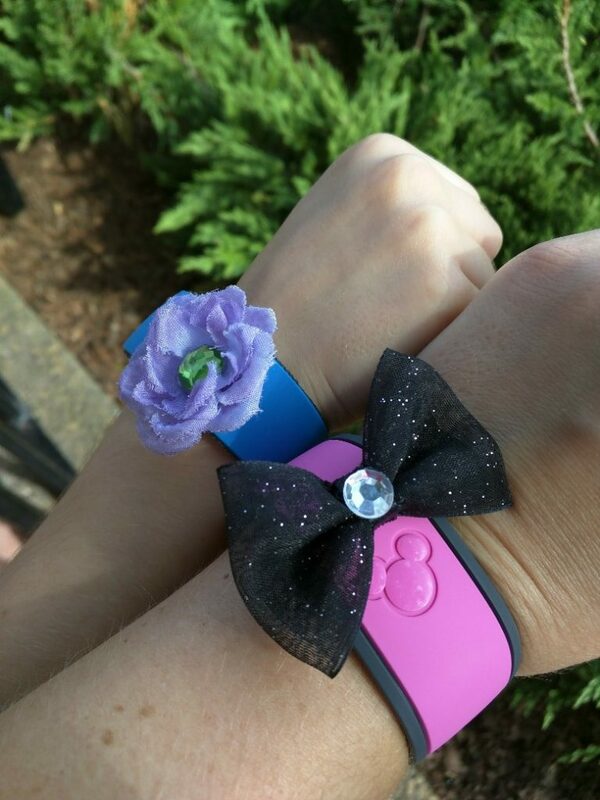 Go ahead and customize a Magic Band for your toddler. It will let them feel like the big kids if they want to wear it. 9. Children under 3 years old can share meals from another person’s plate (or you can pay to order them one). Toddlers are not included in the Disney Dining Plans. Your child under age 3 is free to share a meal with others in your group at no charge or you may order and pay for a kids meal. Buffets make it easy to feed your toddler without additional cost. 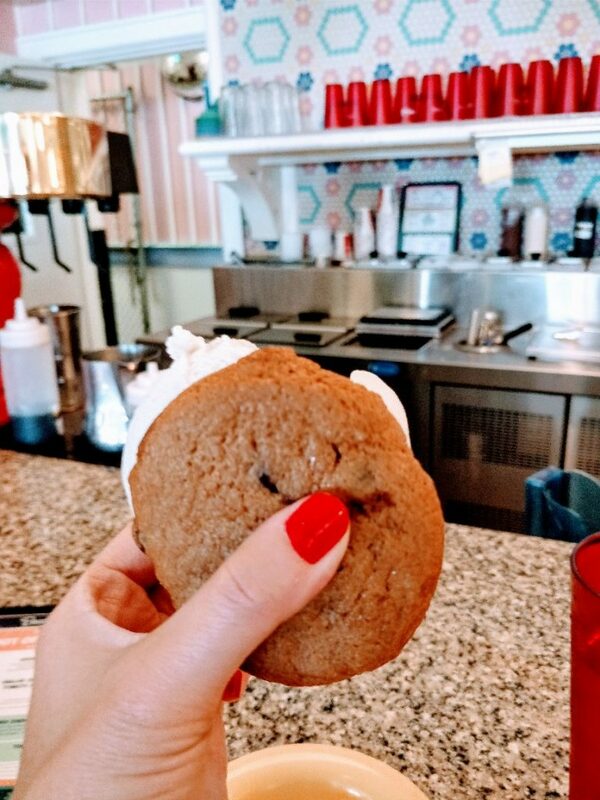 Find out our favorite Disney World Restaurants in this article. 10. Make sure you include the child in your dining reservation count. Although you may not have to pay for a toddler meal at Disney World you must include the child in the number of people for a dining reservation. For example, on a larger family trip there were six adults, one 8-year-old, and one 2-year old in our group. I needed to make my Advanced Dining Reservation for a total of 8 people. I know this can be confusing since you don’t count toddlers for FastPass+, but it is crucial that everyone in your party is counted for dining reservations. Make sure you know all about making advanced dining reservations by reading my 5 minute guide. 11. Toddlers do not need a car seat to ride Disney’s Magical Express. 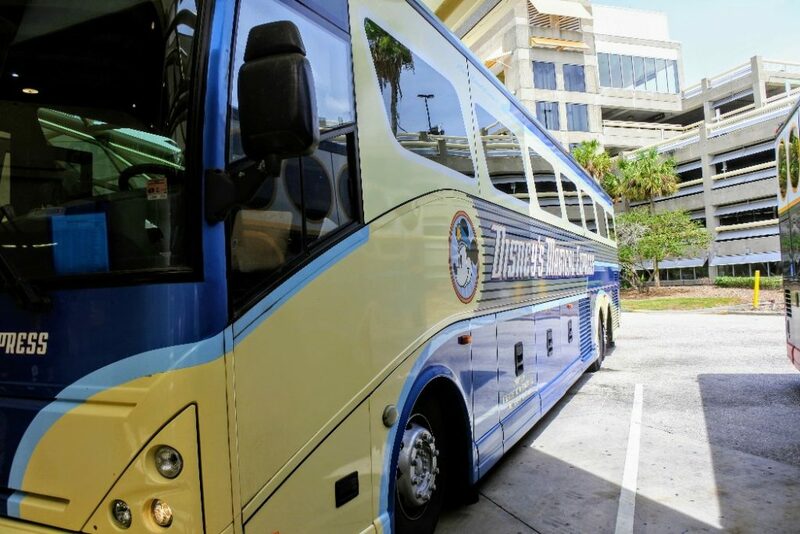 Disney’s Magical Express is complimentary motorcoach transportation to your on-site Disney World resort hotel from Orlando International Airport. Find out more in my detailed guide. Disney World with a toddler should be fun! Be realistic about what your toddler can handle and make happy memories within those constraints. Disney World is an amazing magical place for those of all ages, but I think Disney World with toddlers brings a special kind of magic to a trip. 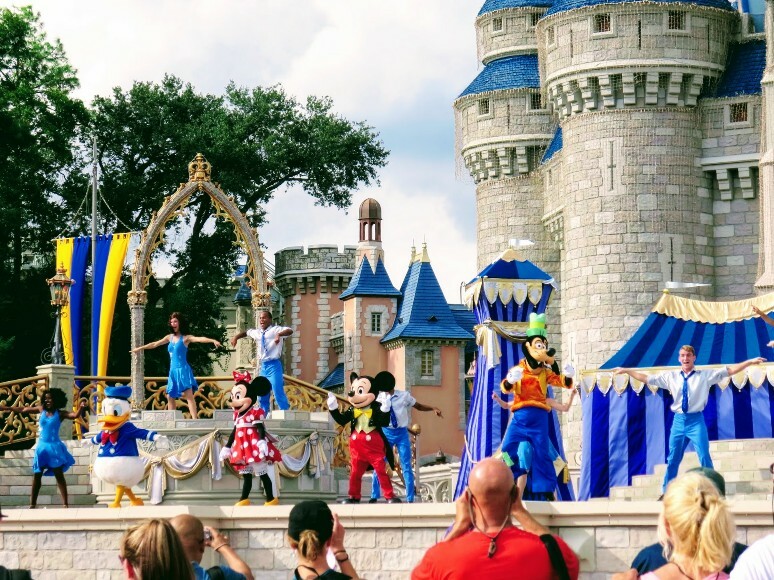 Are you still unsure of taking a toddler to Disney World? Read real life experiences of travel experts and the best and worst things about visiting Disney at different ages. Is this your first trip to Disney World with kids? Make sure you see what I wish I had known before our first trip. And make sure you look around at my other Disney World planning information to learn how to pack the perfect park bag, why we use Garden Grocer, resort reviews and more. Rider Swap is a good system if you have kids that cannot ride something due to height restrictions. When you enter the line, ask for a rider swap pass. One adult stays with the child, and the other adult rides the ride. They they swap and use the rider swap pass which means you don’t have to wait in line again. Magic Kingdom will have the most ride options for your 1 year old. Most of the classic attractions like Dumbo, Peter Pan’s Flight, Mad Tea Party, etc don’t have any height restrictions. At Animal Kingdom the rides without height requirements are TriceraTop Spin, Na’vi River Journey, and Kilimanjaro Safaris. There are walking paths to see animals and live shows that can entertain your younger one at Animal Kingdom, too. A double stroller will make life much easier. We usually walk 6-9 miles on a typical park day. Have so much fun planning the first trip for your kids! We are bringing our 5 year old granddaughter to Disney this June 2019. It’s her 1st time. Other than Disney world and magic kingdom, what other park would be great to take her to? That’s wonderful that you are planning a trip with your granddaughter. Magic Kingdom is certainly a must on any Disney World trip. There are a few factors to consider when choosing other parks to visit. How many days will you be at Disney World? Is your granddaughter a big Disney Junior, Star Wars, or Toy Story fan? If she is then a day at Hollywood Studios would be a good choice. If she likes animals a day at Animal Kingdom is a good option. Epcot has several rides for smaller kids, lots of character interaction opportunities, and great food, too. If you have 4 days at Disney World you could visit all 4 parks or do 2 days at Magic Kingdom and then one day at 2 other parks based on her interests. If you only have 2 park days (like we will next weekend with my 3 year old niece) one day at Magic Kingdom and then a split day at Hollywood Studios and Epcot would be a great option. No matter which parks you choose to visit I hope you have a fabulous trip! We bring 2 year old and 6 year old to the parks .. we have walt Disney world hooper tickets for one day only.. is their Shutter for parks? There is park to park transportation available. The parks are linked by boat, monorail, or buses depending on the exact parks. If you let me know which parks you plan to see I can give you more information.